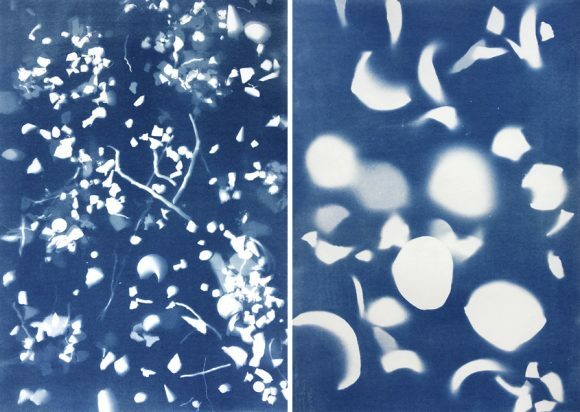 This series of cyanotypes is a work in progress being undertaken as a collaboration with Associate Professor Anne Clarke (University of Sydney). Annie was in the process of repatriating boxes of archaeological material back to Groote Eylandt, in the Northern Territory. At her invitation I began documenting this process and her preparations to return to Groote so that she could work with local Anindilyakwa people to process the excavated site contents and sort it on their country. Some of the material had already been sorted by Annie during her research, and the difference between this material, and the unsorted bags of mixed materials was stark. We decided I could try and capture this contrast through the cyanotype process. 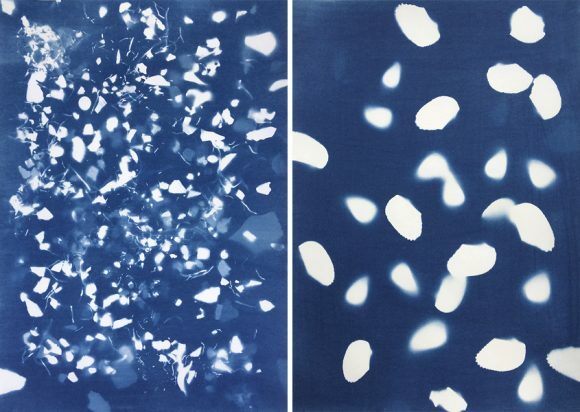 As I was making cyanotypes of some of this material in the wet lab at the University of Sydney, I would text Annie a picture of the print to see if she could recognise what I was working on. Every time she was able to correctly identify the shell species without hesitation. To me this illustrated how knowledge is acquired and embodied through practices of doing. 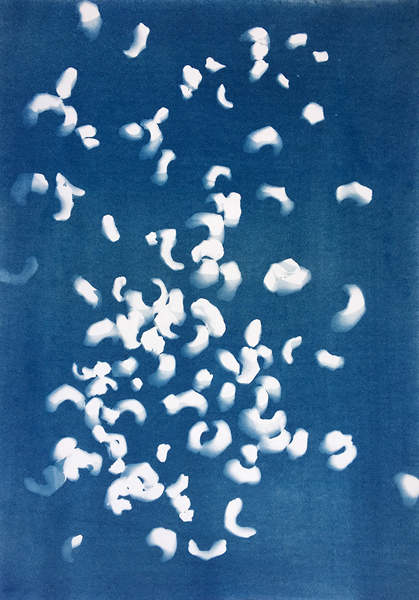 And in Annie’s case after years of sifting through fragments of shell, she was able to discern individual species simply from their stencilled trace. 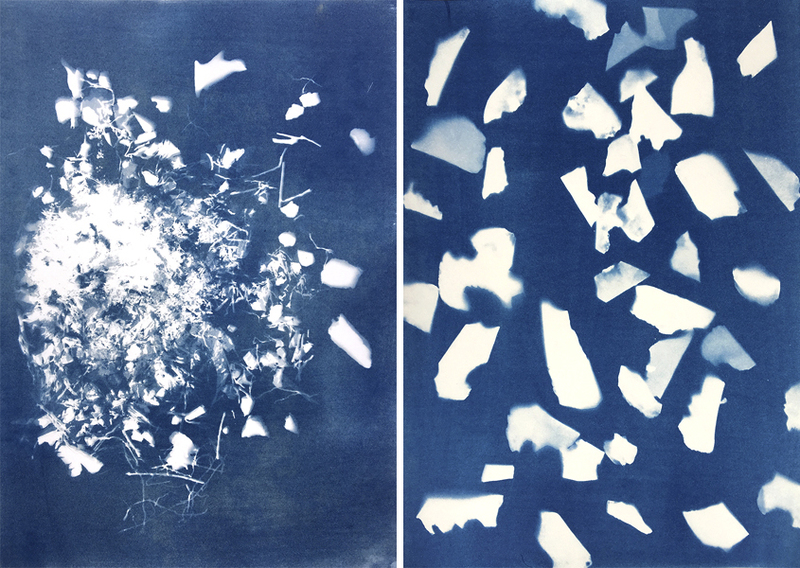 In the series of diptychs on display I hope to synthesise the archaeological sorting process by depicting what they start out with, a mess of entangled materials, and the results they end up with, an identifiable and ordered set of data. I will post more work as the collaboration progresses but a series of 5 diptychs is currently showing in The Fellows at the ANU School of Art & Design gallery.